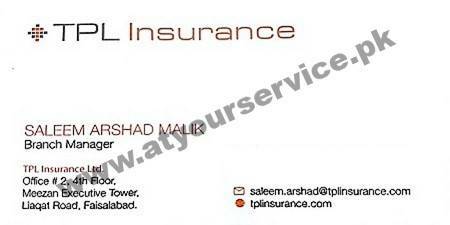 TPL Insurance Ltd. is located in Meezan Executive Tower, Liaquat Road, Faisalabad. We are a premium insurance provider in Pakistan. We protect your assets by capitalizing on cutting-edge technology to take the hassle out of your insurance enabling you to get on with living your life with complete peace of mind.